January 2019, winter was just over the horizon. 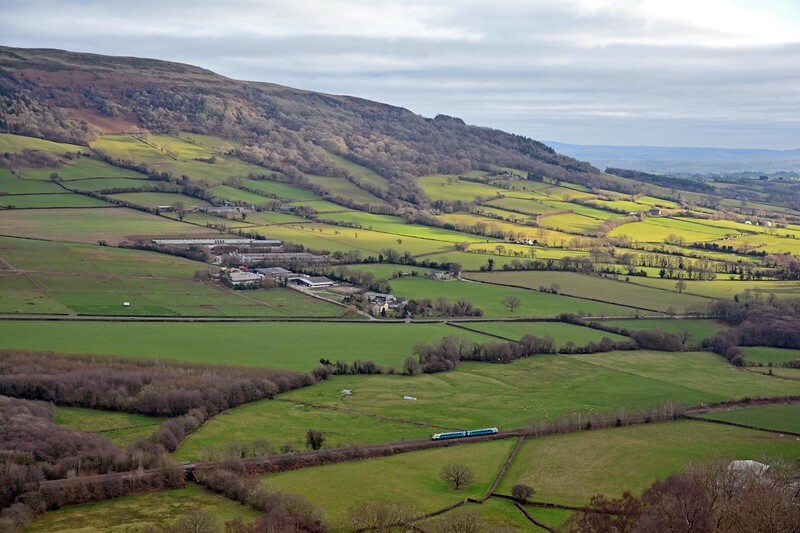 New Year's Day was another mild and balmy day in and around Monmouthshire, but that soon changed as colder weather arrived for the rest of the week. By Friday daytime temperatures were hovering at or just above freezing, but at least it was sunny and almost windless. After a train free weekend I spent much of the following week on the trail of 4V20 and 4V22, the Fiddlers Ferry to East Usk coal empties. It was bright at times, sometimes sunny. Cool for the most part but by no means properly cold. We're promised colder weather by Friday 18th, but whether that means snow is by no means certain. In the event it certainly got colder, and there were occasional snow showers, but nothing more. On Monday 21st I followed a heavy 6M86 catching it at Abergavenny, passing Pandy and at St Devereux, between Pontrilas and Hereford. The last week of January dawned clear and cold, and it was forecast to remain cold well into February. I took myself off to Cwmbargoed and the usual Monday appearances of 4V01 from Hope Cement at Earles Sidings and 6C93 to Port Talbot steelworks. After shooting 4V01 approaching Bedlinog and then watching it back into the washery for loading, I climbed to the top of Mynydd Fochriw, one of the highest parts of Gelligaer Common. The peaks of the Brecon Beacons in the background were flecked with snow as indeed were the slopes of Mynydd Fochriw.